Twenty-four weeks in the Philippines: sounds like a long time, but the day you leave, it feels as if you just arrived and you already have to say goodbye. When I first got there, I didn’t really know what to expect. I was picked up at the airport and brought to Bliss, where I was introduced to my homestay family, the staff and a few volunteers that were at the center. Everyone was friendly and nice to me, making me feel welcome in a country 36 hours away from home. The next day, I was taken to my placement, Cangumbang, where I got the chance to meet the children I would be feeding for the next 6 months. I’ll never forget their curiosity and excitement. So many questions and happy faces. It’s hard not to fall in love with them from the beginning. I’m so happy I volunteered in the Philippines and not somewhere else. VFV is flexible and supportive. Volunteers are free to develop activities for the community and help in original ways. 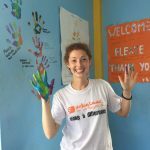 I had so much fun planning meals, assessing nutritional status, educating the Bliss community and playing with the children at the orphanage. As a dietitian nutritionist, I leave satisfied because I know I did as much as I could to help the Filipino people. I know the things I did had a positive impact in the population. There’s nothing more fulfilling than seeing an underweight child recover thanks to your recommendations. That’s when you realize everything was worth it. On the other hand, I feel very sad because I know how much more needs to be done. I wish I could go back and volunteer forever. Volunteering is a beautiful experience that I recommend to everyone. You get the opportunity to learn about a different culture, help people in need, share your knowledge and enjoy life in a totally different way. I dare say this is the best year of my life. Thank you VFV for giving me the chance to volunteer. Thank you for the memories I’ll cherish forever. My 20 weeks in the Philippines couldn’t be better! Amazing experience!! I volunteered at a the San Joaquin Feeding Centre outside Tacloban City. I had a great experience cooking healthy and nutritious meals for the children and this experience got even better because of these amazing people that Filipinos are. Filipino people are so good at making you feel you belong there that at the end of my placement I burst into tears not wanting to leave. There’s something quite addictive about VFV, the community, the projects and most of all, the people. 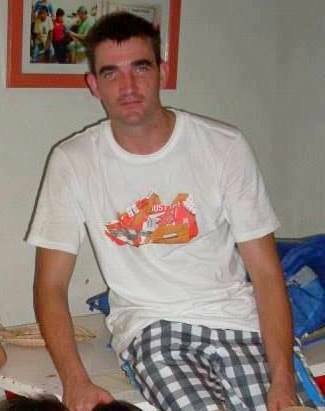 I volunteered for the first time in Tacloban in August 2007 and have since returned for a further 7 visits (2008, 2009, 2012, 2014, 2015, 2016 and 2017) and continue to have the most rewarding time. 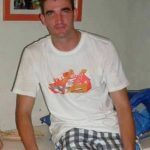 I have volunteered on a variety of projects from working in an orphanage to working with street children, from interviewing at the dumpsite to distributing school supplies to far flung schools and from cooking and feeding children on a nutrition placement to tutoring sponsored children. Every year is different but every year I learn something new. The Bliss community really makes you feel so welcome and I always feel so at home with my homestay family and that’s because of the people you meet. They make you feel like you belong. I’ve formed some close friendships and have really learned to appreciate much more how others live. The children are some of the happiest children I’ve ever met, full of smiles and joy, appreciating the little things in life. Despite the many difficulties that so many people face on a daily basis, they are an inspiration to us all and make you put your own life in perspective. It’s not possible to put into words what life on the island of Leyte is really like; you have to experience it to really know… so go on….be a part of it. You won’t regret it. I have loved every minute of working with the boys-they were all very game on and very polite and fun! It was great to see them get involved in all the different activities, from painting, to sports games and many Math quizzes! I was a bit nervous before, but RRCY made me feel very at home. My advice to future volunteers- try and make a brief plan of activities and skills you can teach them before you come out. It will make it easier for you if you have a basic structure and know what you want to do with them. Overall, it has been an amazing experience and I would love to do it all over again!! It was the same when I was taken to meet my homestay family. Nanay Tessie and her family were so friendly and comforting, Nanay told me ‘for the next month you will be my son!’ I soon knew exactly what she meant as after sitting and talking with the family on my first night, I felt right at home and they treated me just like part of the family. The destruction caused by Yolanda may have been evident on the buildings and structures, but it was only strength and character I saw in the Filipino people. I was overwhelmed by the kind and generous nature of the people I had met, and all this before I really got to see what VFV was all about. The activities on my first weekend really showed me what an amazing organisation Volunteer for the Visayan’s is, and how much great work the staff and volunteers do for the communities around Leyte. From distributing relief packages and feeding children in Cangumbang and Bliss, to helping Kids to go to school rather than working on the Dumpsite, and building homes and schools. There really isn’t the calibre of words in the dictionary suitable to describe what an amazing experience it was to be involved with VFV. I really enjoyed helping on the build-a-home and build-a-school projects, and it was a privilege for me to see the De Veyra family celebrate their new home. Although I did not have much in the way of skills or experience to help in some of VFV’s other programs, the team give you the opportunity to get involved and help out which I found brilliant. The activities included in the volunteer program are excellent. I particularly enjoyed the excursion, a brilliant chance to get to know the staff and the other volunteers a bit better. I just want to give a massive thank you to everyone at VFV for enabling me to take part in an experience I will never forget. I look forward to visiting and volunteering with you again in the near future. Keep up the good work! 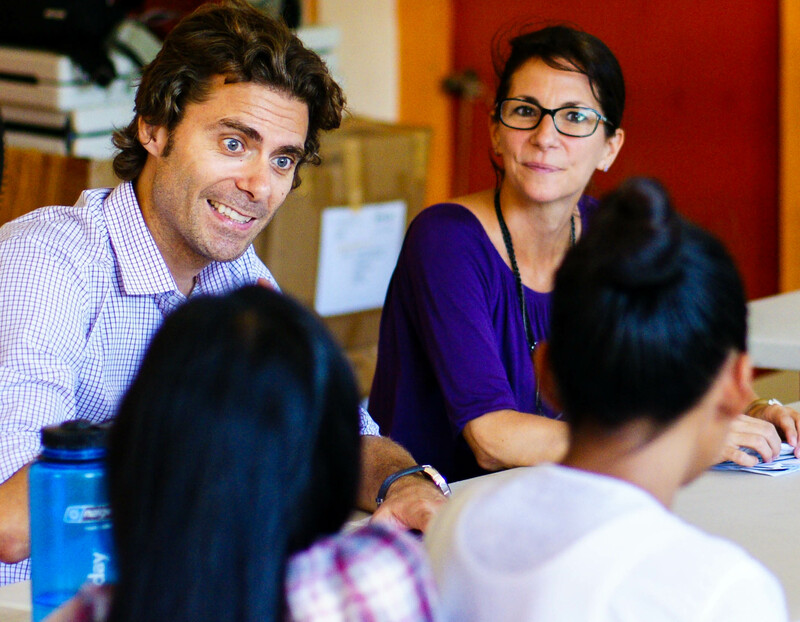 VFV helped us create an experience that was truly life-changing. Without them, there’s no way we would have had such incredible volunteering opportunities. For our home stay, we were placed with an amazingly kind and generous family, the Aciertos. It’s clear that VFV does a great job of selecting the best homes for volunteers to stay in because the Aciertos were fantastic hosts. Having such a welcoming home to share for a few weeks made everything so much easier. We also really appreciated the flexibility VFV showed during our time in Tacloban. In preparing for our trip, we informed VFV that we wanted to work on a home-building project and a teaching project. 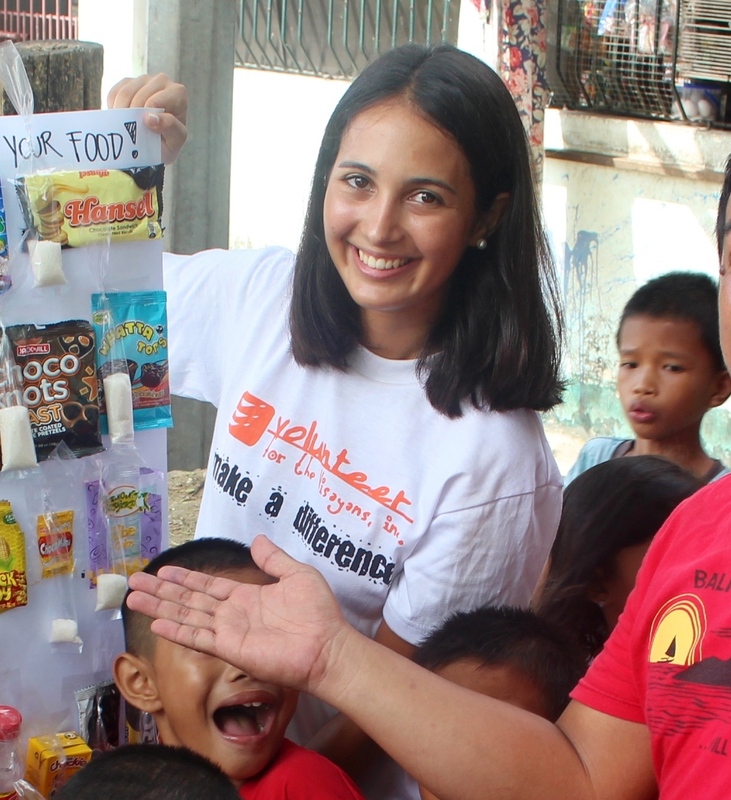 Once we got to Tacloban and started working, we found that we loved these projects, but that we wanted to experience other volunteering activities too. VFV was able to coordinate it so that we could have time to organize play activities for the children in the Cangumbang Community Center after teaching while also having an opportunity in the afternoon to shop for toys and snacks for the kids. They gave us the freedom to create the best experience for us, and we really appreciated that. You can tell that the VFV staff truly cares about helping the less fortunate. When we found a group of children that we particularly wanted to provide ongoing help to, the staff was an invaluable source of information about our options and how we could provide the greatest benefit to the children. Even now that we are back in the US, the staff continues to support our efforts to help the children we have targeted for assistance. VFV also let us decide exactly where the money we had raised before coming to Tacloban would go. Many organizations you donate to don’t let you have any say or don’t even let you know what your donations were used for. With VFV, we knew exactly where it was going. It’s not always easy to be plunked down in a new place and quickly adapt to a different lifestyle, but VFV made it really feel like a second home for us. In fact, we enjoyed our volunteer experience so much that we are already planning a return trip to volunteer with VFV again. Thanks VFV! I didn’t quite know what to expect jumping out of the jeepney at Bliss for the first time. Walking down the concrete alley, passing through the arch, I was immediately greeted with smiles and introductions. There was so much to take in the first five minutes, I took comfort knowing I had three weeks to soak it all up and see what the Philippines and the medical mission had in store. It turned out three weeks was no where near long enough for me to ‘soak’ it all up. 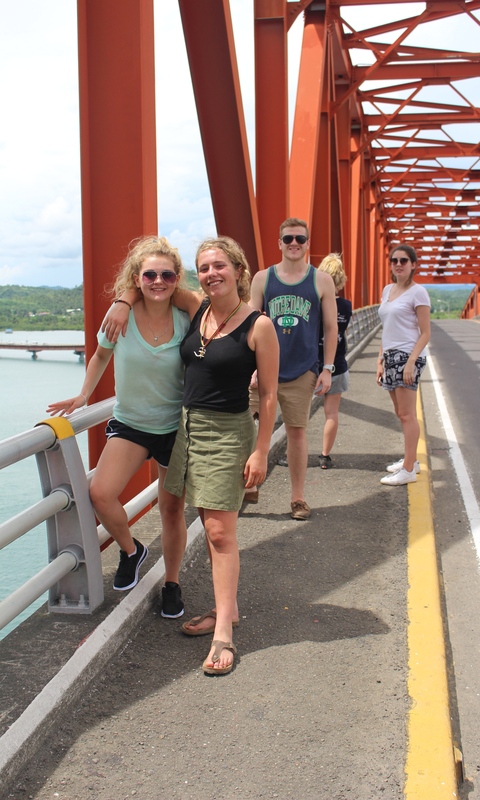 The whole trip ranks #1 on my lifetime accomplishments as I weigh my experiences in Pastrana’s rural health unit, the two medical missions in Alangalang and Tacloban City, the beach excursions and the lifelong friendships kindled with other volunteers. I couldn’t have gotten this kind of medical experience and training anywhere else in the world. That is the best thing I can say about Volunteer for the Visayans. Elsewhere, I would have flown halfway around the world to watch over a shoulder, clean utensils or a host of other passive responsibilities. With this program, being humble and taking initiative goes a long way. Gaining the doctors trust after observing several circumcisions, having them hand me the scissors and anesthesia was an immense compliment that inspires self-assurance and confidence that you need in the medical field. In three weeks, I had help perform over twenty circumcisions and helped deliver three babies at the rural health unit, not to mention countless vaccinations and several trauma patients requiring stitching and bandaging. I was also able to see some conditions of tropical climates that I wouldn’t normally see back home, i.e. schistosomiasis. Daily I rode in a “pimped out” jeepney, only to jump out the back, and onto a motorcycle that sped me passed rice fields, coconut and banana farms, petty cabs, karibaw drawn carts and smiling faces. Once a group of 30 kids surrounded our motorcycle running alongside us, smiling ear to ear, just because we were there with them. It was the first in a long time that I had felt an overwhelming sense of joy. It wasn’t about me, I was there for them, I hope they knew that. VFV also gives you ample time on the your “off” days for some R&R. Climbing coconut trees on a secluded island, cave spelunking and cliff jumping at Caliwayan Beach Resort were a few extreme activities that will forever stand out in my mind. There is nothing like standing out in the middle of a pristine beach at low tide on Kalanggamman Island, ‘discovering’ starfish, sea urchins, sea squirts, eels, fish and of course the bioluminescence. I am a nature lover at heart. Observing these miracles also made for great stories and great memories. Memories! This trip wasn’t lacking on memories. The VFV staff, the Bliss community, the Pastrana RHU, the adventures, the medical experience and last but not least, the friendly, hospital nature of the Filipinos definitely made this trip one of the best times of my life. VFV – Keep doing great work. Continue your goals of humanitarian healthcare and healing the sick, get the kids out of the dumpsite, give them an education, feed those who are hungry, care for the orphans because great will be your reward! These joys we experience during this time of service are only the firstfruits of things to come! Hope to see you guys soon and make even greater memories in the future! Thanks so much. My husband and I were supposed to stay 4 weeks, but we stayed 6 weeks! We taught mathematics and computer science at Mohon Elementary School in Grade V and VI. All the personnel at the school were very helpful and gave us the liberty to teach alone in their class. The pupils were very kind and it was heartbreaking leaving them after 6 weeks! We also had great time in the VFV center. The staff always answered our questions and helped us initiating special projects, like teaching ballroom dancing and also computer class in the center. It was very inspiring to see all the people in VFV working hard to improve the quality of life of the children in Tacloban. Thank you to all the great VFV team, we will always remember you! Our home stay has surpassed our expectations. Nanay Soledad treated us like her own children. We appreciated talking to her every day at meal time. She was very funny and helpful. 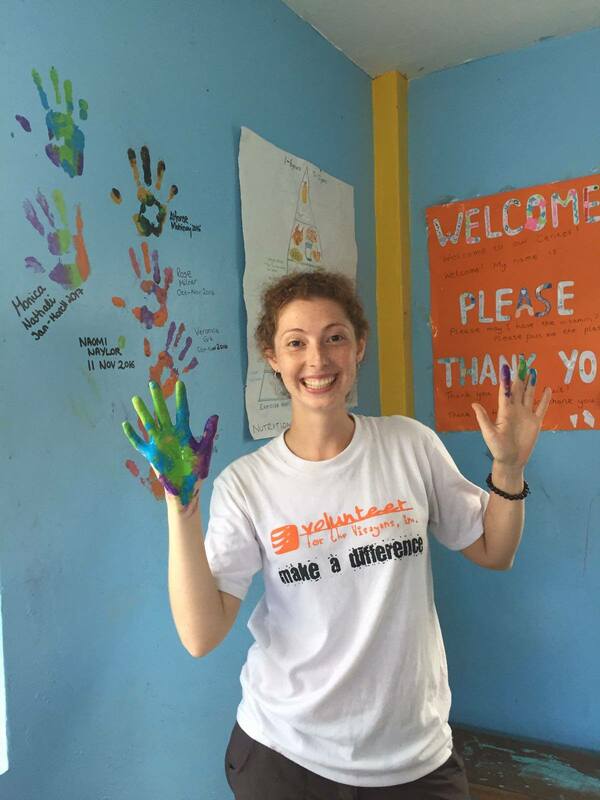 For sure we will recommend VFV to anyone who wants to do some volunteering work in Philippines and we hope we can come back one day! The Filipinos are always smiling even when they are facing difficulties. We taught them a bit of maths, dance and computer, but they taught us a lot more! Throughout my training in Dietetics I had always considered working in developing countries and VFV has not only provided me with good insight into nutritional problems facing developing countries, but has also provided me with an unforgettable experience. 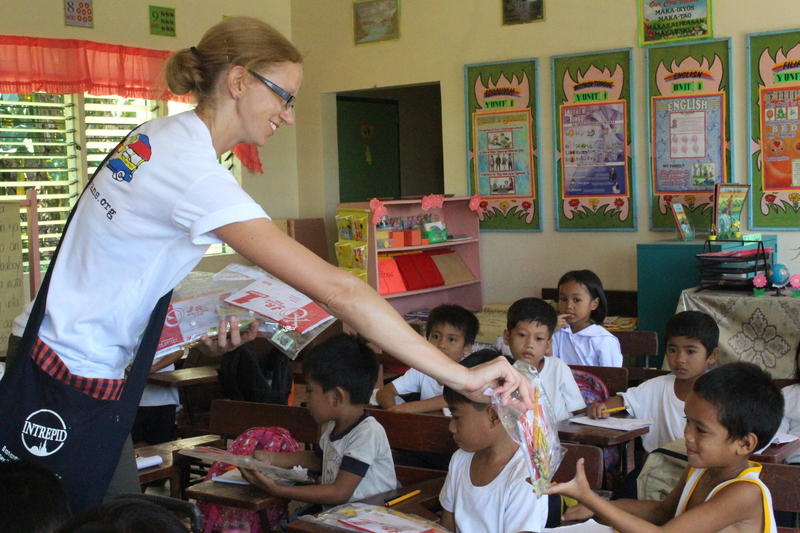 I qualified as a Dietitian in June 2010 and went out to the Philippines in August. The welcome I received was incredible and I instantly felt at home, even though the surroundings and living conditions were worlds away from what I knew. The nutrition feeding project has been developed for local pre schoolers (aged 1-5 years). All of the children attending the feeding come from disadvantaged backgrounds and most are malnourished, several severely so. I was responsible for planning and creating nutritious meals while keeping within a budget. Buying the ingredients from the local market was an experience in itself and gave me really good insight into local foods in terms of cost and availability. After the early morning market trips it was cooking time! Experimenting with the ingredients was great and seeing how the diets of the children changed over the 6 weeks that I was volunteering was priceless. The children’s energy and warm smiles never failed to brighten up my day! I also redesigned a screening tool to assess the nutritional status of the children attending feeding as well as those in the local community. Measurements were then compared to WHO standards to identify the level of malnutrition. Educating staff on screening methods as well as dietary requirements for pre school children was another priority, since there is not a permanent nutrition expert. The nutrition awareness in Bliss is very poor and education is fundamental for optimising nutrition in the future. While many are undernourished there is a very high intake of fat, sugar and salt unfortunately at the expense of fruits and vegetables. 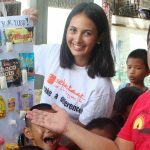 Cooking for the children really helped me become familiar with the availability, cost and preparation of Filipino foods, which was essential when planning and delivering education sessions to the local community. I wouldn’t hesitate to recommend VFV to anyone looking for a voluntary nutrition project, I always felt completely supported by staff and made some great friendships. Filipino’s are the friendliest nationality in the world and I really felt a part of the Bliss community. The project has been a great springboard into my career and I’m sure I will return in the future. In my decades of travel, I have never felt more at home and welcomed than I did while volunteering in the Philippines. The people that I had met were gracious, happy, hospitable and very respectful- both young and old. The most surprising was their generosity. With the little that they had; they were more than willing and happy to share. VFV is unlike any charitable organization that I have given to or worked for. They are the “real deal”. The money, supplies and time that are donated are truly given to those in need. The amount of people, especially the children, which are touched by this organization, is immeasurable. Also, they allow for those in need to help themselves and others in need. Being a skeptic of such organizations, I actually saw and investigated the work that this organization does. The build-a-home, community center and the dump-site projects are truly remarkable. When a child is sponsored, that child will actually attend school. I volunteered with the Street Children Education Program and those kids won my heart. All are so appreciative of the volunteering that is received. There are plenty of opportunities to go out and site-see but nothing can compare as the smile on the face of a child that you are working with. The home-stay gives the opportunity to experience the real everyday Filipino life-style. These words maybe hollow to some, so my actions will speak for themselves. I will return to the Philippines and volunteer again. I could not have asked for a better experience than the one I just had – to VFV I thank you! If I had the time right now, I would be there. So in the mean time, VFV will get my support from where I am. If you do volunteer, you will have a feeling of satisfaction but with a feeling of wanting; you will definitely want to do even more. I stayed in Tacloban for 5 months to complete the research component of my doctor of public health degree. Although I was thinking I would have a unique experience before I get to Philippines but I never anticipated to experience the most valuable and thought provocative months of my life. From the first night that I arrived in Bliss I noticed how different people are compare to other countries that I visited before. I was welcomed and treated with love and respect, that’s why you feel at home as soon as you arrive in bliss. People are very nice and down to earth also the happiness and simplicity that you observe in people’s eyes is mind blowing. 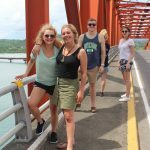 I strongly recommend anyone who wants to experience a very unique and unforgettable experience to volunteer for the Visayans because you become part of the community and you will have the experience that no tourist will have. My research purpose was to evaluate the effectiveness of VFV nutrition program therefore I was interviewing the families of the children who were enrolled in the feeding program. I interviewed more than 100 families during my stay. I also measured the height and weight of the children who were enrolled in the feeding program. I had the opportunity to visit these families in their home. I saw the kindness and warmth welcome in every single family that I visited. The other very valuable part of my trip was meeting other volunteers which gave me a completely different prospective towards volunteering aboard. I had the chance to meet some of the nicest, well-educated and very open minded people you can ever meet. I also visited a few part of the Leyte and Samar island and I have to say I have seen the most beautiful and peaceful beaches in Asia therefore you will have the opportunity to visit different part of the island during your stay. I also received the most sincere support and assistance from VFV staff during my stay. I really felt we are all part of the same family. I think when people work towards the same goal they develop much stronger bond therefore I could see how nice and supportive VFV staff were, not only towards volunteers also towards other staff and locals. I am quite sure I will volunteer with the VFV again in the near future. Click here to read reviews and interviews from VFV volunteer alumni!